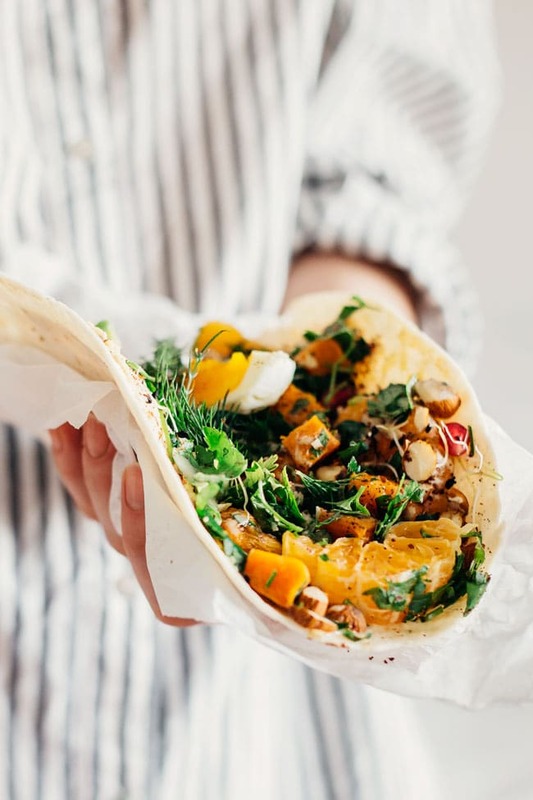 Putting together a healthy wrap might be one of the simplest things you do in your kitchen. Don’t think fancy ingredients or superfoods – I always happen to have some extra roasted veggies from last night’s dinner, maybe some hummus, an avocado, or some fresh aromatic herbs. 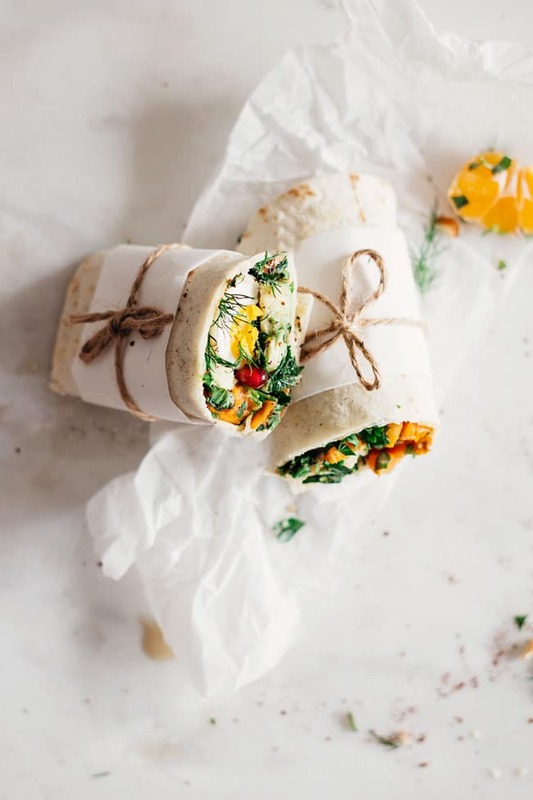 You don’t necessarily need a recipe, just let yourself play with the available ingredients, use spices, add eggs to enrich the nutritional profile, pack everything in a whole wheat or gluten-free wrap and you’re ready for a healthy lunch on the go! I love to roast sweet potatoes in batches, because I never know when I might use them – a salad, a stew, a sandwich, a nourishing bowl or wrap – sweet potatoes can take all these to a new dimension. They not only add an interesting texture and inviting color, but also nourishes your body’s cells with exceptional nutrients. 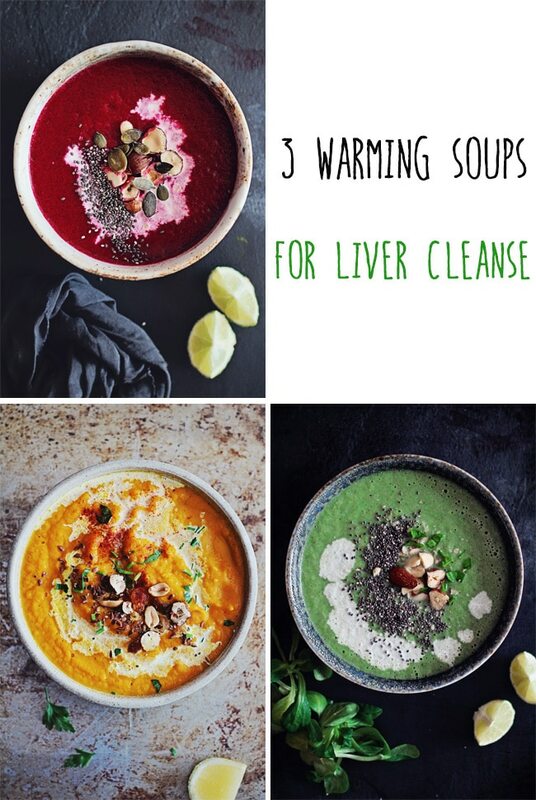 The high concentration of beta-carotene is the number one reason why you need to include sweet potatoes in your diet, but you should also consider their fiber load, with a positive impact on digestion and colon cleansing, and the minerals they contain, especially manganese, which is one that triggers the natural detox function of your cells. 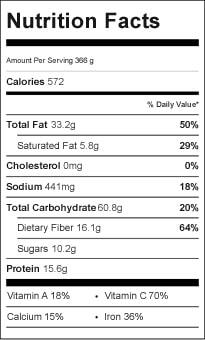 Potassium is also present in high concentrations, making sweet potatoes a perfect candidate for a low sodium diet, and provides the mineral your body’s cells use to flush out excess sodium, water, and toxins, and to maintain an alkaline environment. I like to balance the sweetness of this root vegetable with the sourness of lemon and the flavors of herbs. 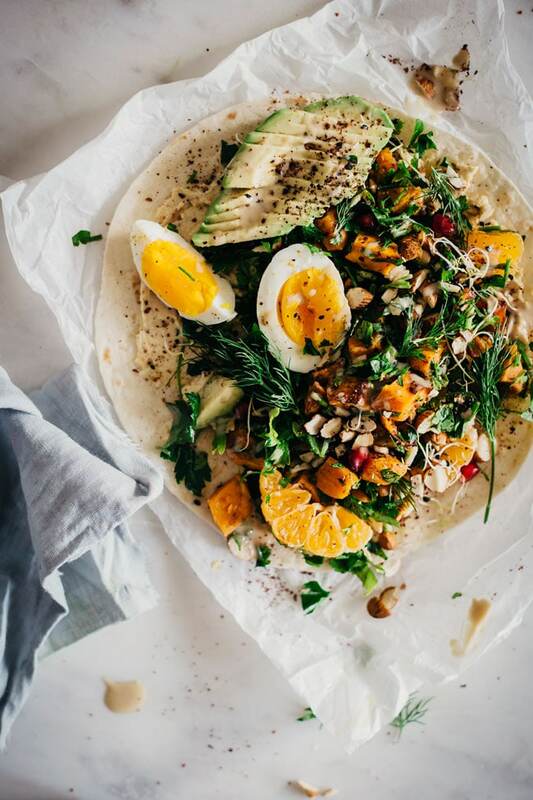 For this wrap, I made a simple salad with roasted sweet potatoes and fresh parsley to create an antioxidant and anti-inflammatory base, and added lightly toasted almonds and avocado for their healthy monounsaturated fats which facilitate better absorption of the beta-carotene. I also added a soft boiled egg for its complete protein (you can replace the egg with cooked quinoa, or simply skip it for a vegan version of the wrap), and a hummus spread to keep everything together and to add some fiber to the picture. I played a little with spices and the result was simply delicious – balanced taste, nice texture, nourishing and filling. – Bean spread, roasted cauliflower, massaged kale, egg or quinoa, with a garlic sauce. – Avocado spread, black beans, spinach, red onion, chopped tomatoes. – Herbed yogurt, roasted eggplant, parsley, basil, chopped tomatoes and cucumbers, poached egg. – Pesto, roasted beetroot, pine nuts, quinoa, spinach. A quick and healthy lunch on the run, with sweet potatoes and fresh herb salad, boiled egg, avocado and tahini sauce. In a medium bowl add the sweet potato, parsley, dill, pomegranate seeds, tangerine, almonds, sumac, cumin, salt, pepper, lemon juice and tahini, and toss to combine. 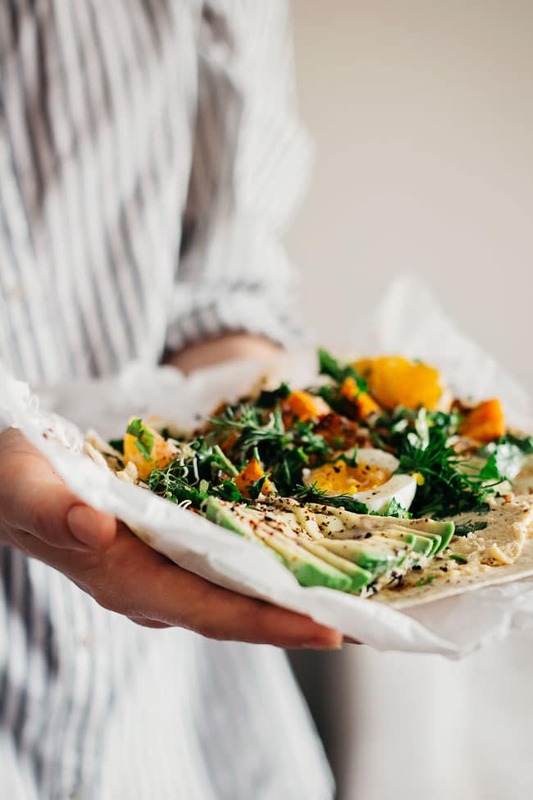 Spread one tablespoon hummus on a tortilla, add half of the salad, top with avocado slices and half boiled egg, wrap tightly and pack in foil to go. Repeat the same with the other tortilla. Seems so nourishing and delicious!!! Thanks Sophie, I can say the same about every single post of yours. 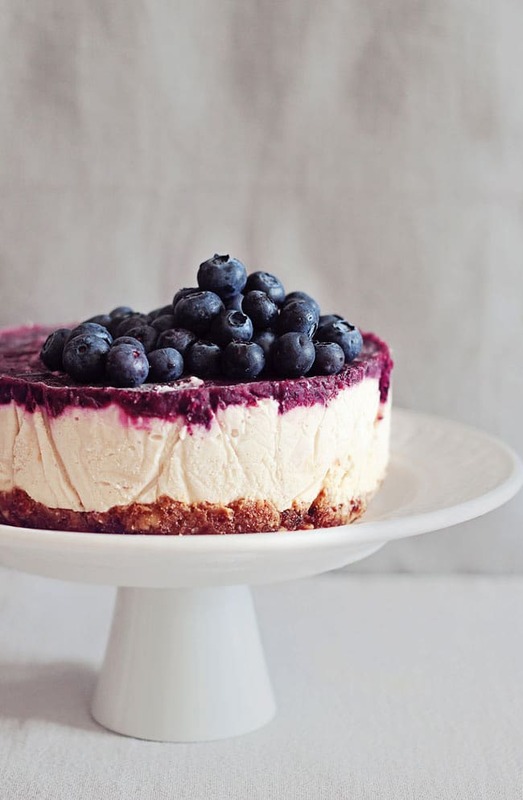 This looks stunning and delicious! This recipe is so inspiring as well as the photos. Ana, this looks so tasty! It’s always difficult for me to come up with something creative for lunch. I can’t wait to try this! 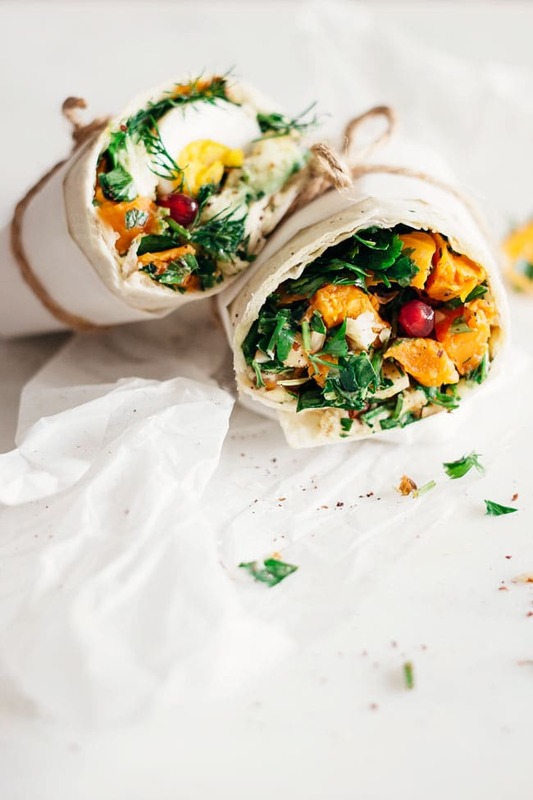 I can’t tell what I am more in awe of – the deliciousness of these wraps OR the gorgeous photos. Wow. So impressed! Pinning. Such a perfect work week healthy lunch. Love. The sweet potatoes are actually left overs from dinner, so they were cold, but you can warm them a bit in the oven. I didn’t freeze this wrap so I don’t know how it would keep. Actually it’s really easy to put together and it doesn’t take much time, so if you have five minutes and the ingredients ready, you can put it together in a few minutes. So good that I ate 3 wraps instead of one. Tangerine goes so well with sweet potatoes. Absolutely delicious, thanks Ana. 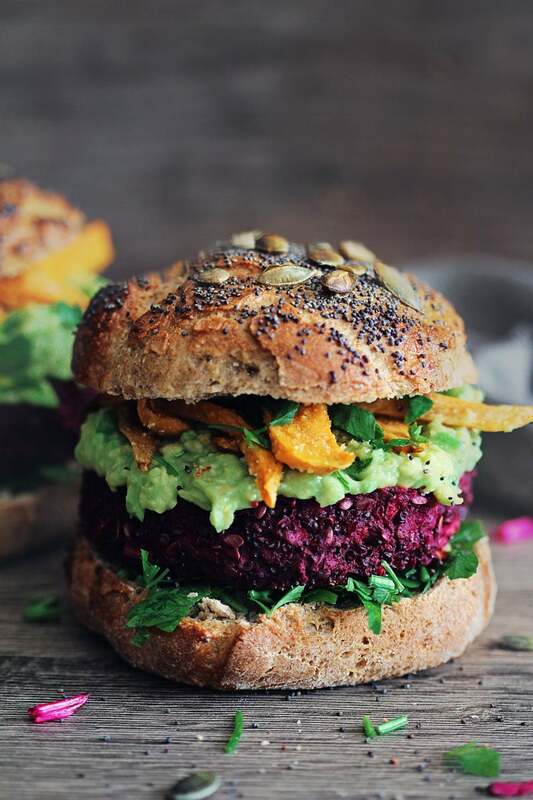 I can’t wait to try the beet root / pesto version.